Concord has state of the art Microbiology R&D facility that is certified by DSIR (Department of Science & Industrial Research) INDIA to develop niche complex Biotechnology products. 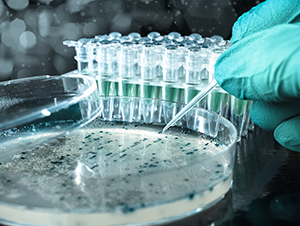 The research team comprises of senior scientists with Ph.D., Microbiologists & Biotechnologists who have rich experience in the field of Biotechnology. The laboratory is equipped with facility for Isolation of strain, Mutation & Passive Selection of microbial strains; shake flask facility for strain improvement, laboratory fermenters and pilot plant facility for scale-up of fermentation process. Strain Improvement program to significantly increase the titer of the target product and/or improve its impurity profiling. Media Optimization: Use of cost effective locally sourced media of client to increase the overall process productivity. Process Development by optimizing the process controls during process scale up to have an efficient high output that is also cost effective. Process Scale-up from shake flask to Pilot and Commercial scale. Development of optimized biotransformation processes. Experience with diverse strains like Streptomycetes, Bacteria, Fungi, E.coli etc as well as numerous biocatalyst classes. Strong expertise in manufacturing of niche complex biotechnology products. 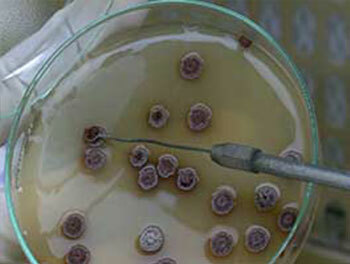 R&D Microbiology well supported by analytical and regulatory support.